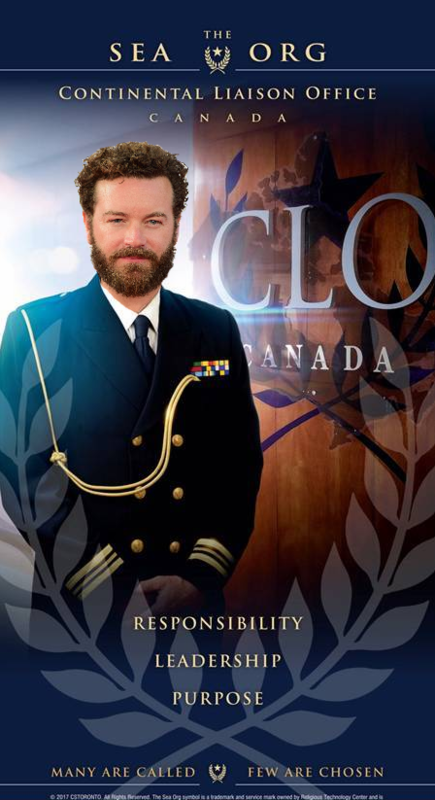 Danny Masterson Joins the Sea Org CLO in Canada – OTVIIIisGrrr8! COB might send him to a remote place in Canada, but he can eventually be extradited from there. COB should send him to a place with no extradition treaty, where bribery is common so the government can be bribed to protect him, . When it comes to creating undisclosed locations for celebs and execs, the Church of Scientology has that tech nailed. 100% workable 100% of the time!!!!!!! There are various reasons why some Scientologist don’t want to be seen in public anymore but it usually boils down to the fact that they want to achieve a higher purpose. For example look at Shelly. She is no longer encumbered by the oppressive game of being Mrs. COB. Now she can work selflessly promoting and expanding the Tech. The same is true for others like Heber, Ray, Jenny, Marty, Guillume, etc., etc., etc. With the Church of Scientology there are endless opportunities for anonymity, isolation, asceticism and other forms of OT glory.